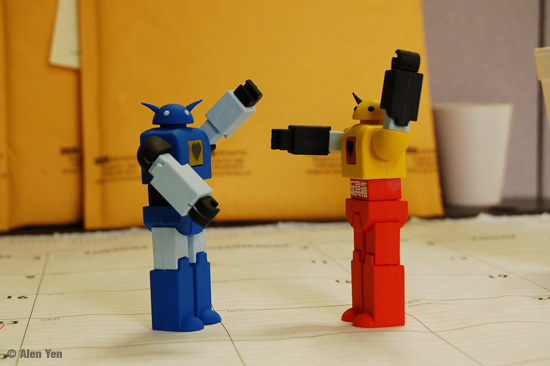 Ahhhhhhh, we’re being attacked by giant robots. 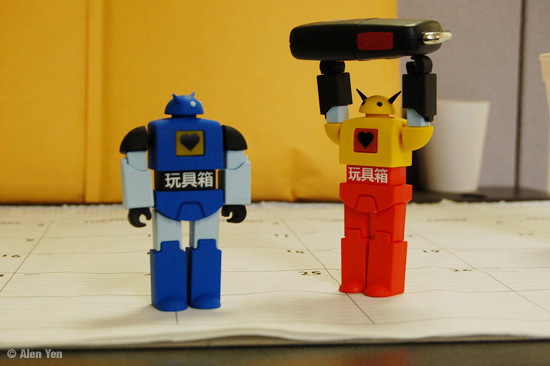 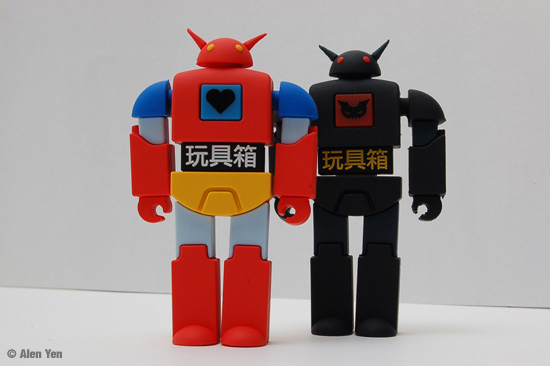 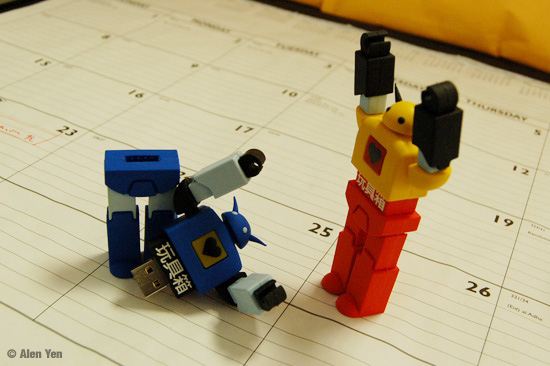 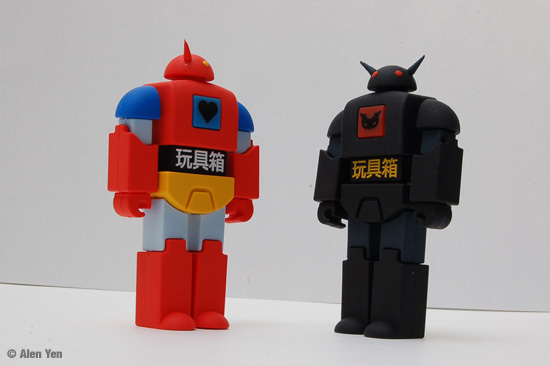 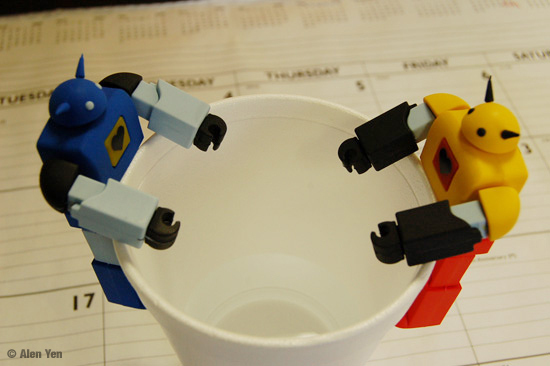 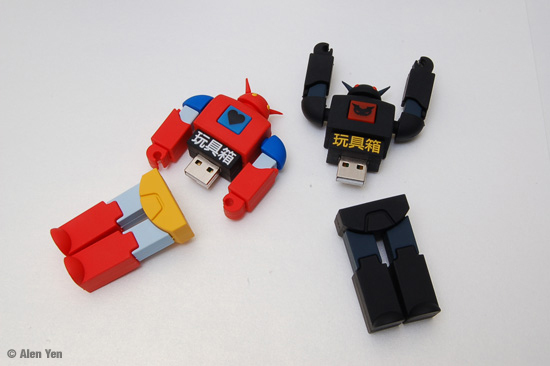 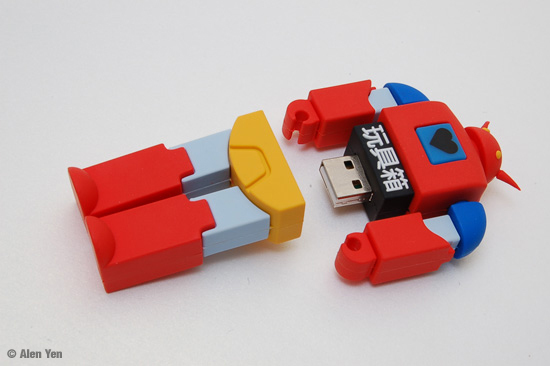 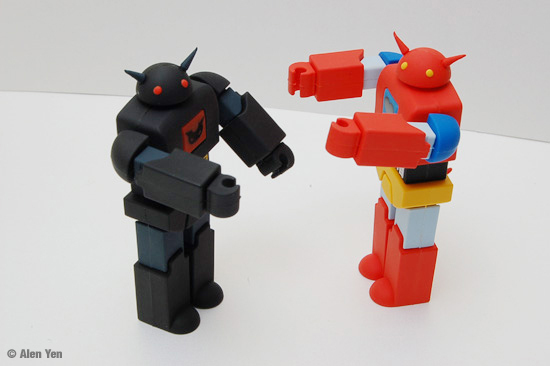 No wait, they’re just the new Nekobots Incubot Robot shaped USB drives designed by ToyboxDX [http://www.incubot.com/usbs.html] and produced by yours truly. 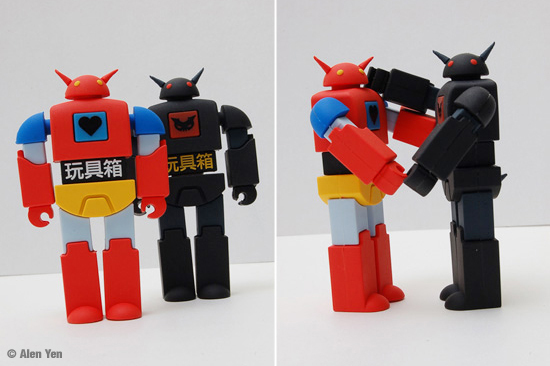 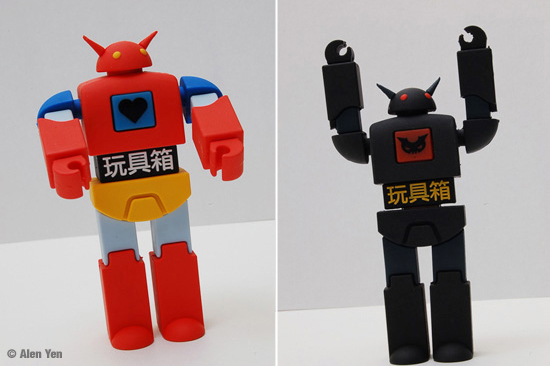 These rubber custom drives have moving arms and head. 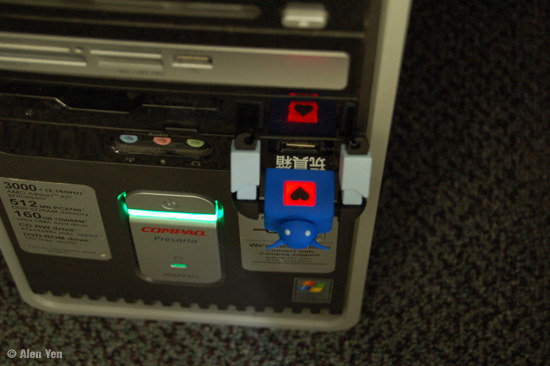 They split at the waist to expose the USB plug. 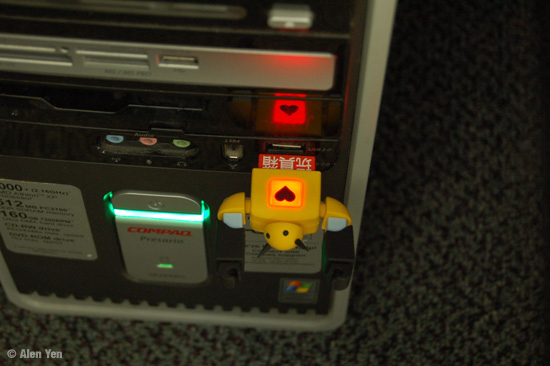 They also come with an LED on the chest that lights up when the drives are plugged in. 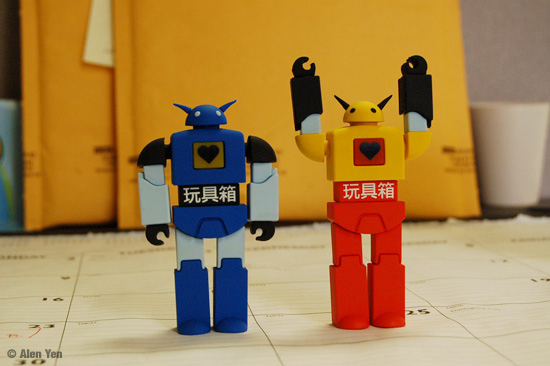 You can get more details: [http://www.incubot.com/usbs.html].